Show and Tell Meg: Ask Megan: What are E-Coupons? Ask Megan: What are E-Coupons? First of all, What is an E-Coupon? 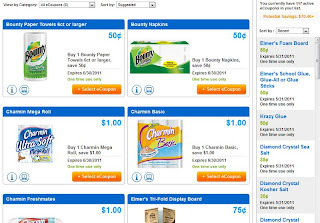 E-Coupons are a new phenomenon that are available to help you save money. Most any store that has their customers use a store frequency card to get the best deals (ex. Winn-Dixie, CVS, etc.) 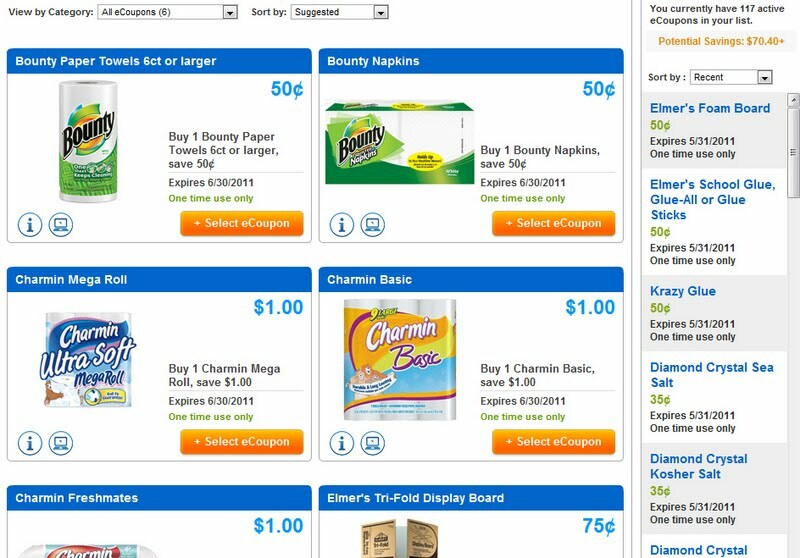 are able to have coupons loaded onto them via the internet. Some of these coupons literally mean that the money will come off your bill like a paper coupon, while others can be used in addition to paper coupons and they work more like a money matched savings fund. Where Do You Get E-Coupons? In my little corner of Florida's Space Coast, we only have a few stores that have frequency cards: CVS and Winn-Dixie. Both of these stores encourage signing up for these cards by offering sales and offers for card members only, like how CVS gives you Extra Care Bucks (ECBs). If you do not have a CVS card, you will not get your ECBs, so why wouldn't you sign up, right? Anyway, CVS and Winn-Dixie actually are not eligible for e-coupons that take money off your bill, so I have never used any of those types of services, so I unfortunately don't have any good advice on using these services. I know that many avid couponers like Cellfire though, and I totally wish they worked here! Because I can't use the traditional type of e-coupon, I have learned about the alternate type - they kind that work like a savings account. Specifically, I like to use Savings Star and UPromise. UPromise was my first experience with this type of couponing. I saw a blog post on Couponing To Disney about the program, and decided to give it a try. I had seen others with a little green Publix tag card on their keys for years, but I always thought it was a college savings program. Well, it actually is designed to help you save for college, but it is not limited to a college fund and anyone can set up an account! 1. Go to your local Publix service desk and request a UPromise card. They will give you a plastic sheet with one full sized card and 3 or 4 key tag cards on it, all with the same account number. 2. When you get home, sign up for a UPromise account. 3. Add your Publix card number to your account. That's It! If you have any other store frequency cards you want to add to your account, you can enter your zip code and see which stores come up as eligible for the program and add the card numbers like you did with the Publix one. How Do You Load Coupons Onto Your Card? Now that you have an account, you can have a look at all the different ways you can earn money toward your 'fund.' UPromise offers many options - everything from cash back on online purchases to an actual UPromise credit card. The only option I have used are the grocery ecoupons. Once you have signed in, you will notice a menu bar along the left side of your screen and one of the options is "Grocery eCoupons". When you click the Grocery eCoupons tab, you will be taken to a large list of this month's offers. Many of the coupons are available each month, but there are always some new and some take away. The list of coupons looks very similar to sites like coupons.com, with the coupon listed in a box and a button to 'select' that coupon. 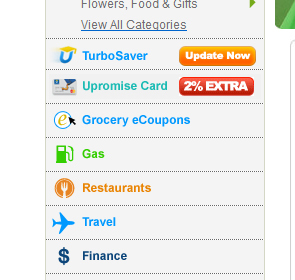 All you have to do is go down the list and click 'select' on the coupons you want added to your card. That's It! The best part is that if you have multiple cards loaded onto your account, these coupons are automatically applied to each card - you don't have to select them for each store. *I recommend you select all of the coupons just on the off chance that you purchase an item you hadn't planned on. You just need to go on each month and select them and you're done! You also have the option of printing out a list of your coupons, which I also recommend. It's very easy to forget what you have coupons for, so print the list and stick it in your binder! The other ecoupon service I use is called Savings Star, which works exactly the same way as far as signing up and loading your coupons. I love it when I can pair the two up with the same purchases :) It means double the savings! How Do You Use eCoupons? Now that your card is loaded, you are ready to shop! You can plan out your trips with sales, like with any other coupons. The glory of these 'savings account style' coupons is that you can also use a physical 'paper coupon' on the same item at the same time! 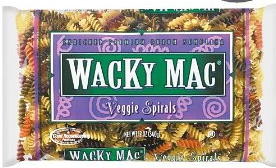 Wacky Mac is a product that currently has both physical coupons and ecoupons available, so let's say Publix has Wacky Mac on sale for $1 per bag and I have a 40¢ off paper coupon, making me pay 60¢ for my bag. Also during my purchase, I have the cashier scan my UPromise card which has a 40¢ ecoupon for Wacky Mac. I still pay the 60¢, but an additional 40¢ has been placed into my UPromise account, so in the long run, I only paid 20¢! Now, let me repeat this does not change your out of pocket expense! These eCoupons are put into your account which can be cashed out later on. How Do You "Cash Out" Your Earnings? For UPromise, they really gear toward saving the money for college, so they will ask you to confirm your decision to cash out lots of times. You must reach an account balance of at least $10 for you to cash out, which is a pretty typical amount for these programs. For UPsomise, you just click 'use your earnings' and select 'request a check' to have a check mailed to you. You will have to fill out and mail in this redemption form and then just wait for your check! I know this sounds complicated and I hope I didn't ramble too much and make it more confusing, but this really is an easy system. The hardest part for me is remembering to have the cashier scan my card at Publix :) I always remember at CVS and Winn-Dixie because they always ask me for it at checkout, so keep one of your cards on your keys and in your binder to help you remember!